One of the easiest members of the onion family to grow, shallots (Allium cepa ascalonicum) not only mature faster but require less space than their counterparts. Growing shallots in your garden is very easy. Let’s look at how to grow shallots. Many people wonder, “What is a shallot?” Although they’re often confused with green onions and the like, shallots are quite different. With their mild onion and garlic flavor, shallots are considered an essential ingredient for flavoring nearly any dish. The most distinguishing factor that sets shallots aside from other members of the onion family can be found by close examination of the bulbs. Unlike onions or leeks, shallots are made up of cloves 0- much like that of garlic. To get the most from these tasty plants in the garden, it may help to practice some important tips for growing shallots. The best way for growing shallots is in loose, well-drained soil that’s been amended with organic matter. They also prefer areas receiving full sun. Shallots are often planted in early spring or as soon as the soil is manageable in warmer climates. Plant them about an inch or two deep with the tips slightly protruding from the soil’s surface. Space shallots about 8 inches apart to prevent overcrowding. Some tips for growing shallots are that they require thorough watering once planted but will require less as they mature, with exception to overly dry conditions. Once mid-spring arrives, you may want to expose shallot bulbs to aid in the ripening process, as they develop better on top of the ground. 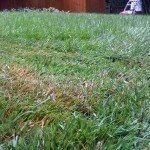 However, a light layer of mulch will help retain moisture while keeping weeds to a minimum. When to harvest shallots can be tricky for some, as this usually depends on when planting took place. 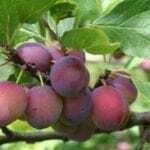 Generally, fall plantings are ready to harvest in winter or spring while those planted in spring may be harvested in mid-summer to early fall. Harvest shallots when the bulbs are about 1/4 inch around but wait for the leaves to yellow before lifting. For an extended harvest season, plant and harvest the largest shallots first, replanting smaller bulbs in their place for harvesting later. Once shallots are harvested, any unused bulbs should be stored. Dispose of any bulbs that appear soft or bruised. Shake off soil once lifted from the soil and allow shallots to remain in a warm, dry area for about a week prior to storing, then place them in a mesh bag and store them in a cool, dry place. Growing shallots is easy and require little care, other than occasional watering. 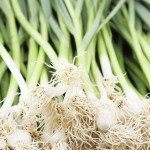 These hardy little bulbs are seldom affected by problems; however, you should practice crop rotation every other year or so, especially in areas where onions have been previously grown. Following these tips for growing shallots, you should be able to easily add these delicious vegetable to your garden. Read more articles about Shallots.